Carmen Wang, recent graduate of the International MBA, shares her experience at EADA and at partner school Pepperdine University. Barcelona was an amazing backdrop to the MBA; it is an amazing city to live in, with beach, sunshine, Gaudi’s architecture, music, passion and art. The city made my MBA experience an amazing life experience as well. 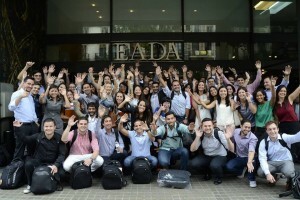 This 10-month MBA experience at EADA was an incredible transformative process for me. In line with the EADA ‘learning by doing’ methodology, the modules helped me discover my strengths and weaknesses, broaden my knowledge and build an international professional network. I met classmates from all over the world met at EADA. The Harvard Business School case method gave us the opportunity to discuss and understand business from different perspectives. The modules in the EADA-Residential Training Centre helped us improve our leadership skills. We studied hard, but we also played hard. We discussed projects, and we helped each other to improve our weaknesses. All these experiences made us into the ‘EADA MBA family’ that we are today. But my experience didn’t end in July. After 10 months in EADA, I had the opportunity to continue my studies with an exchange program at Pepperdine University in United States. I have been here for four weeks, and every day I discover new ideas and expand my network with interesting people. I can apply the knowledge I learned at EADA in my daily life at my new school and with my new professional network.